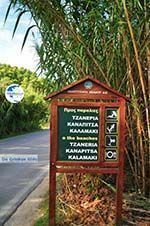 TZANERIA. 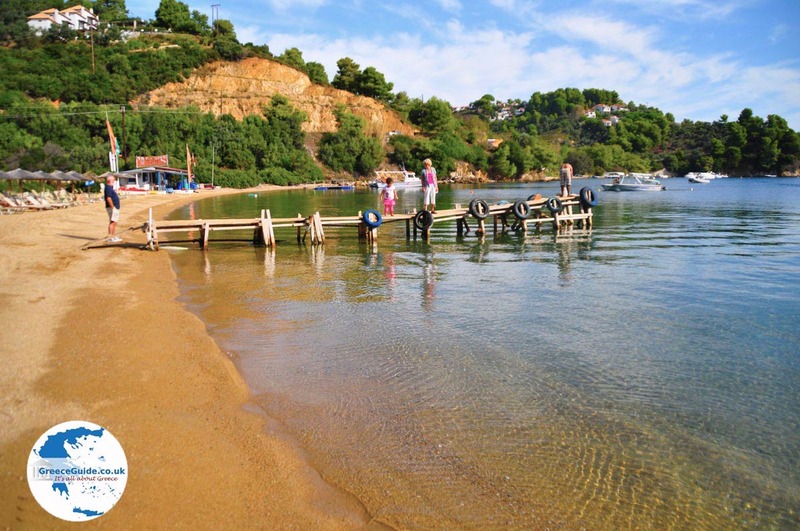 Tzaneria has such a beautiful beach,it is located on the other side of the cape of Kanapitsa. 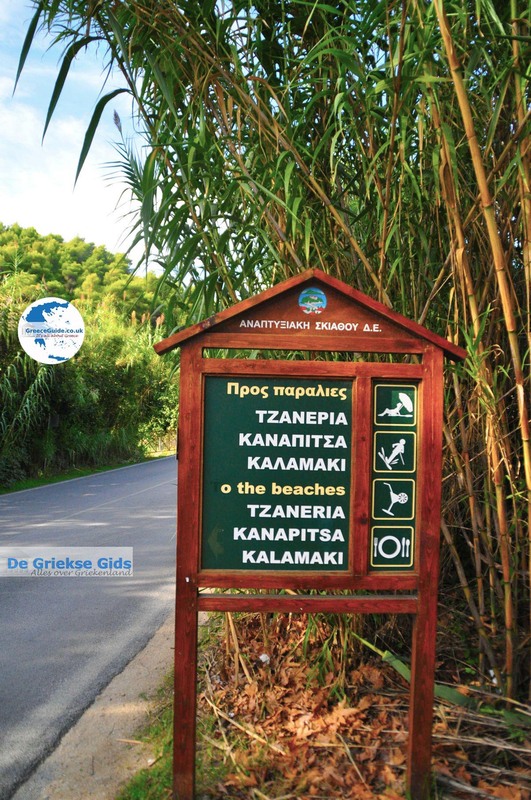 Green trees reach also to the beach here and water sports, sun loungers and parasols are available. 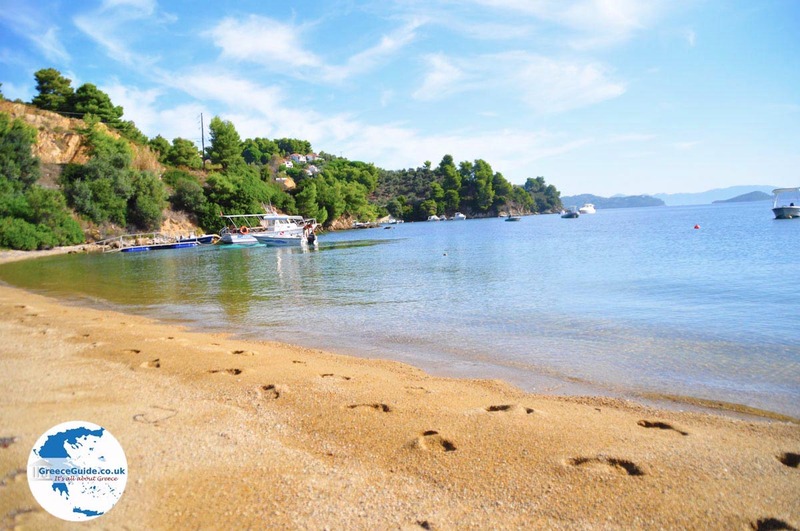 The only difference lies in the fact that the Tzaneria beach is wider than the beach of Kanapitsa. 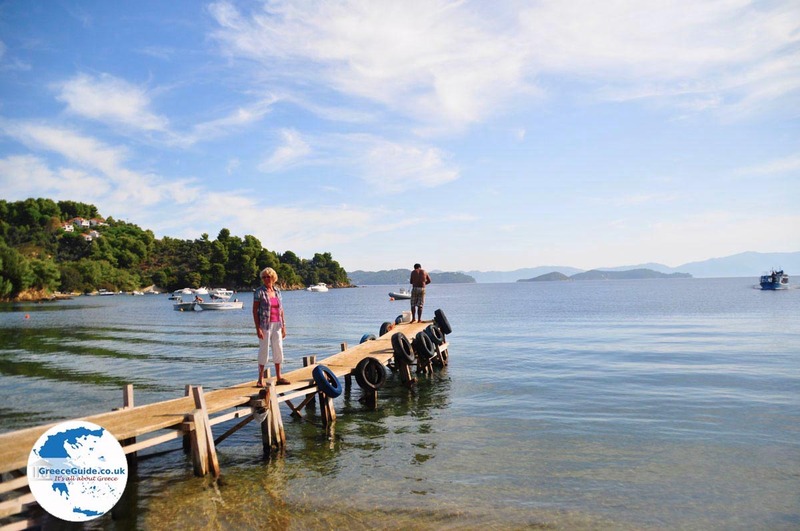 In Kanapitsa and Tzaneria there are several hotels, rooms and apartments for rent. 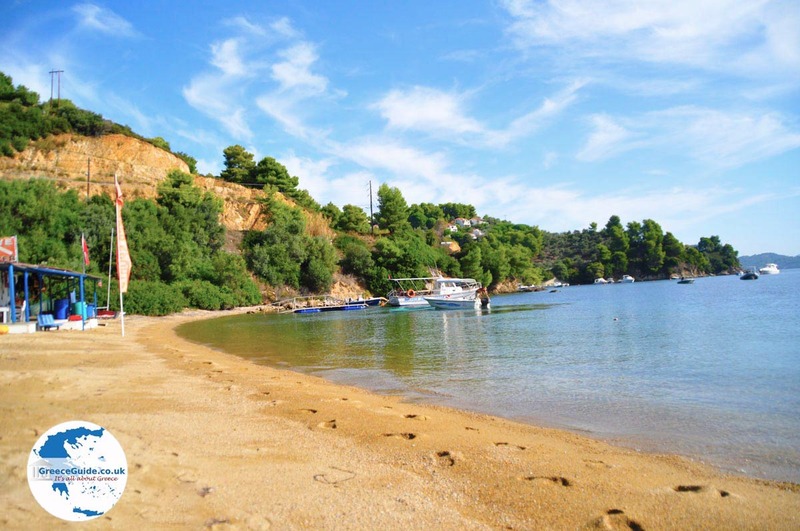 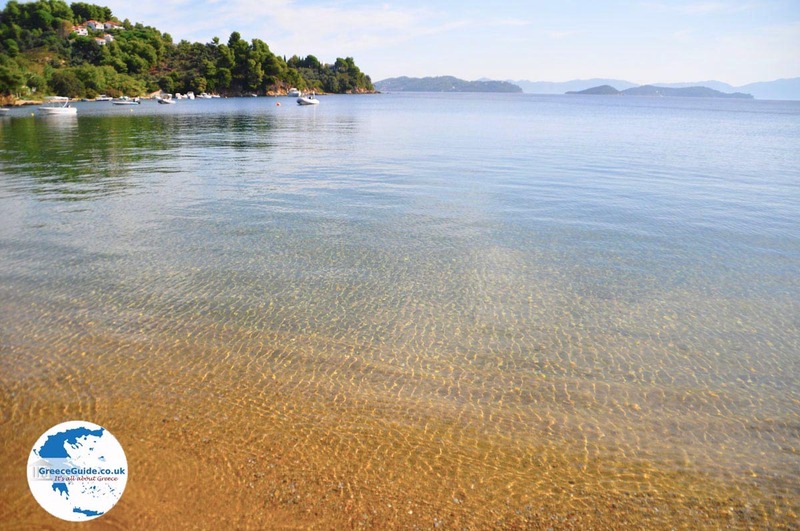 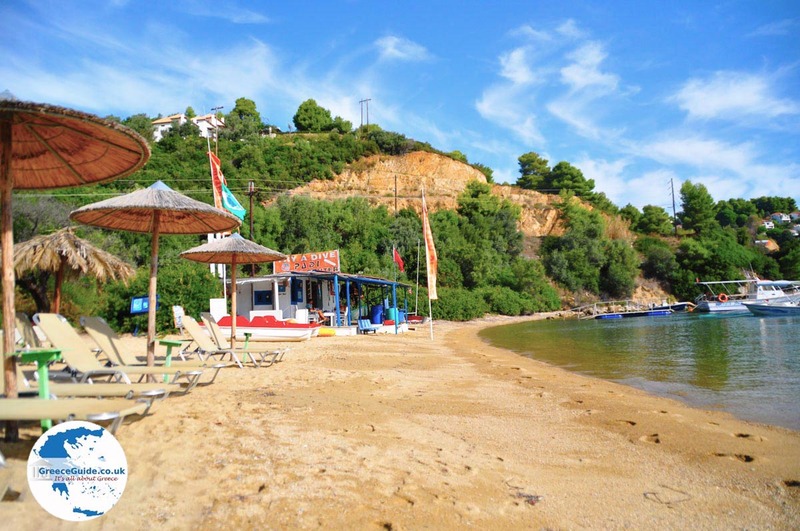 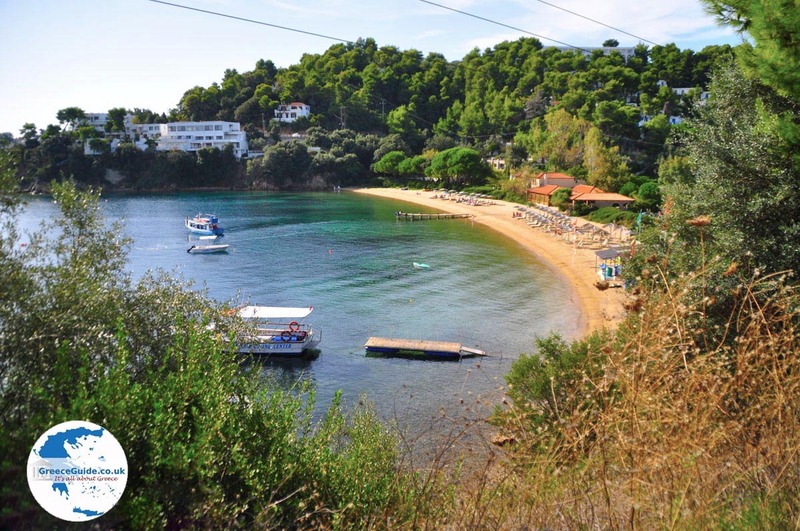 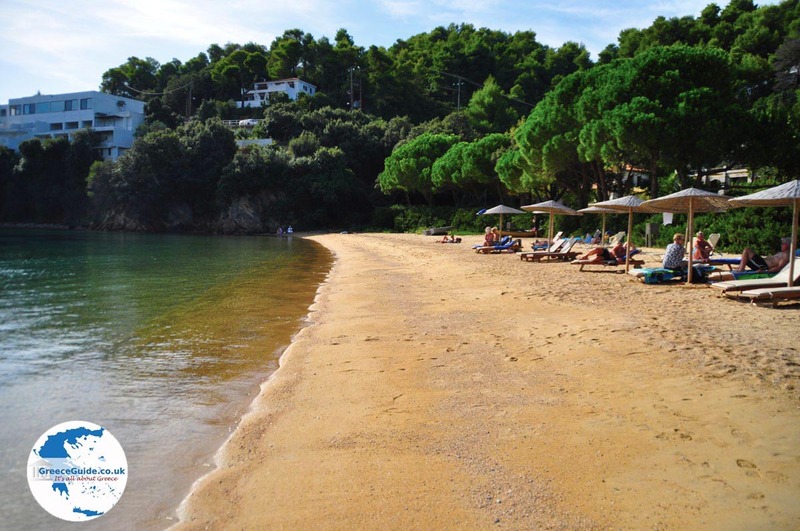 From the main road an hourly bus goes to Skiathos town and to other beaches on the island. 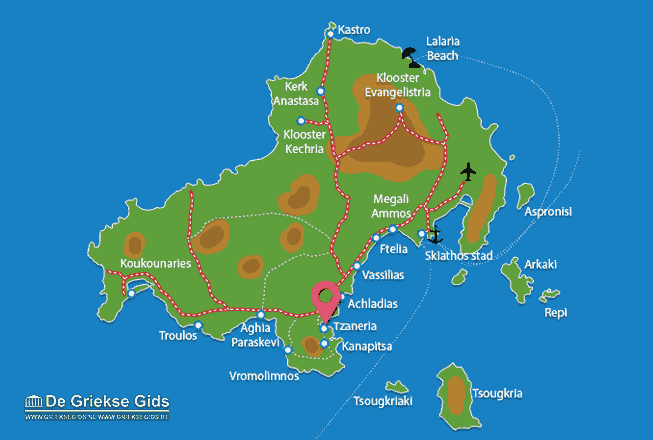 In Kanapitsa and Tzaneria live about a hundred permanent residents. 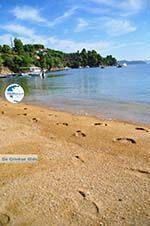 Skiathos: Where on the map is Tzaneria located?